Revise for the MRCP Part 2 written exam with over 2,015 expertly written and reviewed practice questions. Our 2018 Mock Test, which is timed to match the current paper format, covers past paper themes and curriculum areas. 50 NEW Critical Care questions added, covering key curriculum topics including sepsis, stroke thrombolysis, arrhythmias, non invasive ventilation (NIV), and hypothermia. Competence in critical care is an essential area of learning for MRCP Part 2 Written candidates. Our experienced editors closely align our resource with the Royal College of Physicians' curriculum to give you the closest revision experience possible to the MRCP Part 2 written exam. All questions are pitched at the right level of difficulty and mirror what you will experience in the exam. Packed with personalised features to make the best use of your revision time, our online platform and popular app allow you to focus on your weak areas, advance your knowledge across all key topics in the current exam curriculum, compare your performance improvement over time and with your peers worldwide, to help you to fully prepare for your exam sitting. 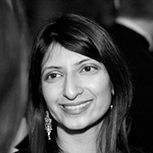 In 2012 Elora was appointed to the role of MRCP part 2 Written Section Editor. As a Section Editor she is responsible for a team of medical question writers that are experts in their specialty and have extensive knowledge of the exam structure, difficulty and curriculum. Elora will review all the questions and instruct authors on what new questions to write and add to the MRCP Part 2 written revision resource. Elora will also answer your queries on questions and respond to the feedback you give us on our questions. Dr Mukherjee’s Top MRCP part 2 Exam Tip: Attempt to complete as many questions as possible before the exam and learn something new from each one. Its also very important to stay positive! I found onexamination perfect for my MRCP2 prep. It helped me understand how to attempt the questions and the free app is an added bonus!